Comparative Perspectives on Judaisms and Jewish Identities makes a unique contribution, building on but not duplicating Sharot's earlier work. 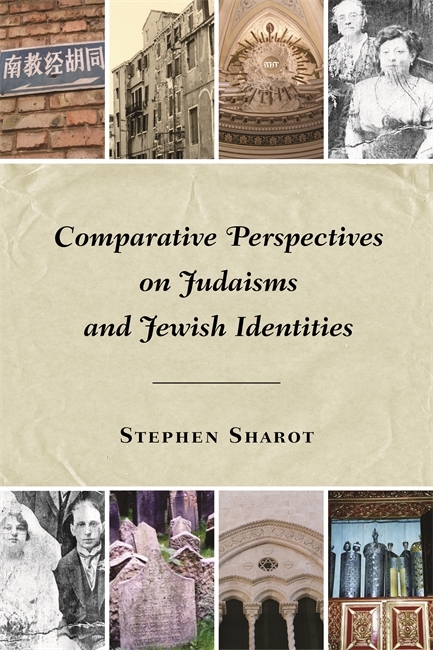 In Comparative Perspectives on Judaisms and Jewish Identities author Stephen Sharot uses his work published in journals and collected volumes over the past thirty-five years to examine a range of Jewish communities across both time and geography. Sharot’s sociological analyses consider religious developments and identities in diverse Jewish communities from Imperial China and Renaissance Italy to contemporary Israel and the United States. As Sharot examines these groups, other religions enter into the discussion as well, not only as major elements in the environments of Jewish communities but also with respect to certain religious phenomena that too have been present in Judaism. The book is divided into four parts: the first compares religious developments in pre-modern and early modern Jewish communities; the second focuses on Jewish religious movements, especially messianic-millennial and antinomian, in the pre-modern and early modern period; the third examines Jewish religious and ethnic identities in the modern period; and the fourth relates developments in Judaism in the modern period to theoretical debates on secularization, fundamentalism, and public religion in the sociology of religion. The afterword sums up the findings of the previous sections and compares the boundaries and boundary shifts among Jewish communities. As the plural "Judaisms" in the title indicates, Sharot discusses extensive differences in the religious characteristics between Jewish communities. Scholars of religion and sociology will appreciate this informative and fascinating volume. Stephen Sharot holds the Chilewich Family Chair in Social Integration and is professor of sociology at Ben-Gurion University of the Negev, Israel. He is also the author of Messianism, Mysticism, and Magic and A Comparative Sociology of World Religions. Comparative Perspectives on Judaisms and Jewish Identities makes a unique contribution, building on but not duplicating Sharot's earlier work. There is no comparable work that covers all of these periods and particular cases."